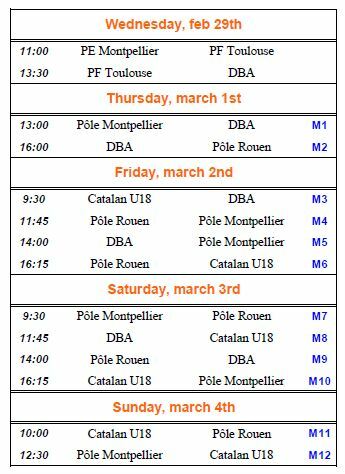 The organizers of the 2012 LR Open, a preseason tournament for youth teams in Montpelier, France, have announced the schedule for this year’s edition. It will be played from February 29 to March 4. The German Baseball Academy (Deutsche Baseball Akademie DBA), the baseball academies in Rouen, Toulouse and Montpellier and the Catalan Baseball and Softball Federation will send teams. The DBA is coming with its COLT team (born between 1995 and 1997), the team from Catalonia is sending its U18 squad.